Some of you know that I have had to go back out on the road in my “Day Job” as a truck driver. The middle of December 2015 is when I ended my retirement. Not being able to get my creative “Fix” in December and January made me a bit grumpy and antsy. 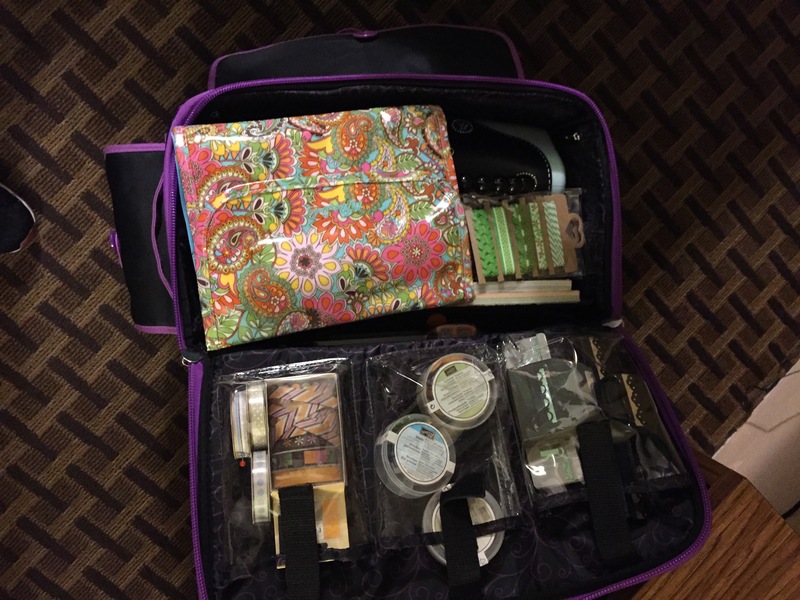 So…..I packed up my card making supplies. Our first stop on the way to Ono, Pennsylvania is Sullivan, Missouri. About 435 miles from home……and well into our 1350 mile trip to Pennsylvania. 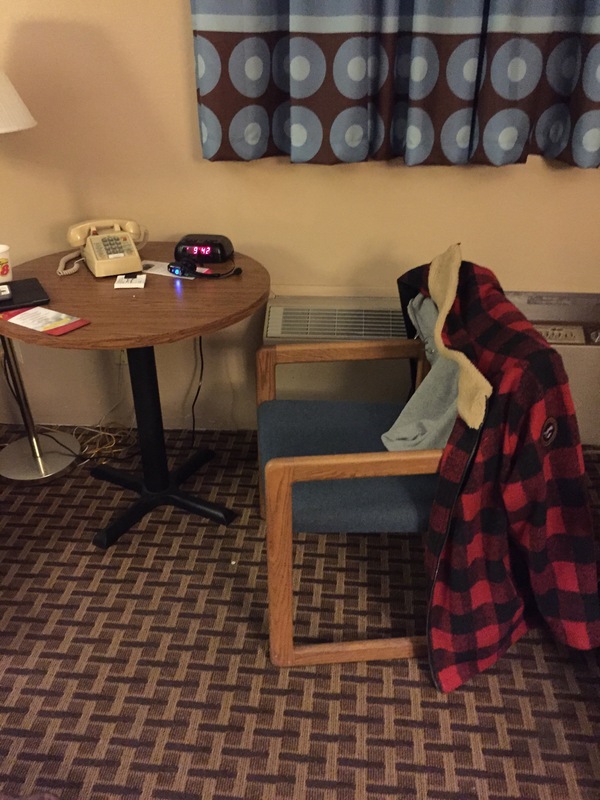 A small table and a chair are in the hotel room, with the bed close by. Plenty of room for a little creativity. 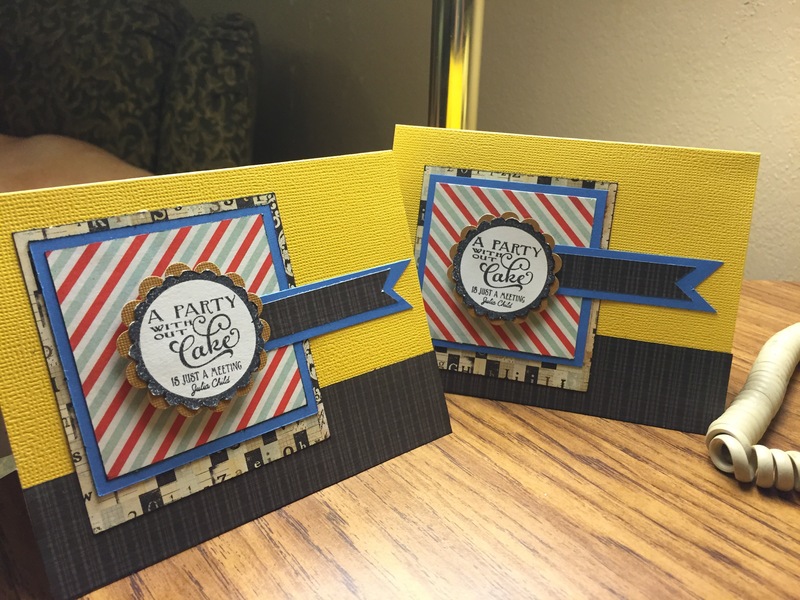 Using Operation Write Home – Card Sketch #62 – I made a couple of masculine birthday cards. Lighting is bad, as I knew it would be, but I made a video of the card making process. That will be edited tomorrow as we continue our journey eastward into the frigid northeast. But, for now, it is time for bed. Previous Tell a story with stickers. Next How to choose colors for your cards. great cards Leslie. your crafting kit seems to be working out ok. go girl. big hugs. Thank you, Bobbie. You are correct. Creativity does help get my mind into a different space. Hope you and Brian are doing well. Thank you Jen. Two worlds are often difficult. One that is stressful and demanding. The other is experimentation and fun. Melding the two is what I need to figure out how to do. I appreciate you, Jen.